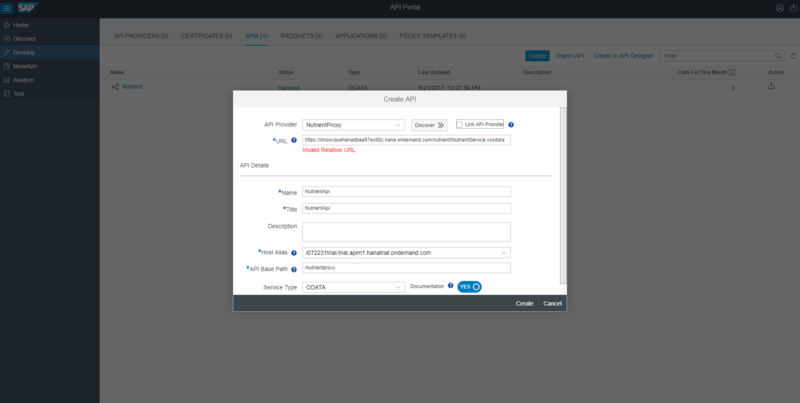 Once the Api Providers are created, the Api proxy can be created. Now go to API->Create and enter the details of the endpoint/odata service that we created in the previous tutorial. ->Press create once the details are filled and then deploy the Api. Upon successful deployment of the API there would be a proxy url created. This proxy url is now the endpoint which would give the data. Use api_proxy_url+’/nutrientproxy/Nutrient’ to access the data through the proxy. Now let’s add a api key to the proxy. This would secure the API and only authorized person would be able to access the data. 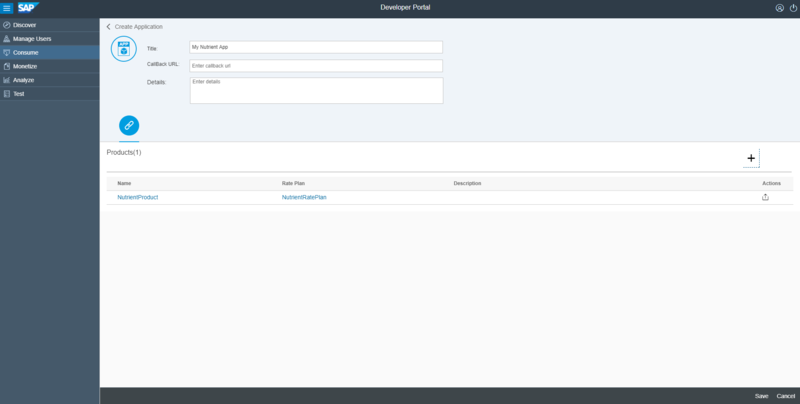 Inside the Api Created,click on policies. 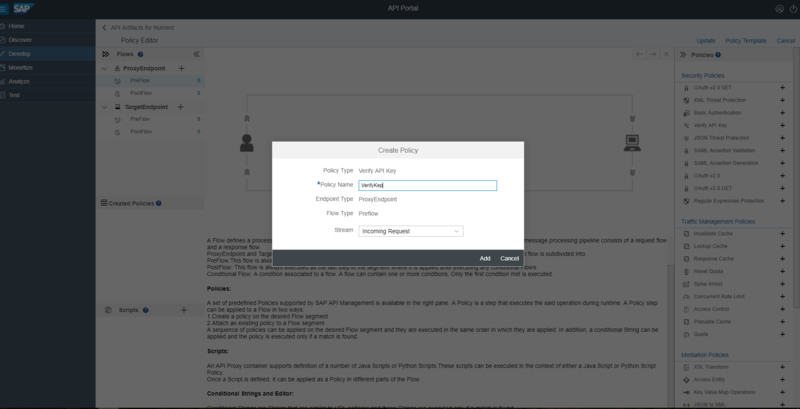 Inside the policy template click on Preflow-> Then within the Policies ->Security Policies->Verify Api Key. Update the policy,save and deploy the Api. Now try accessing the Api ,the Api should throw error. 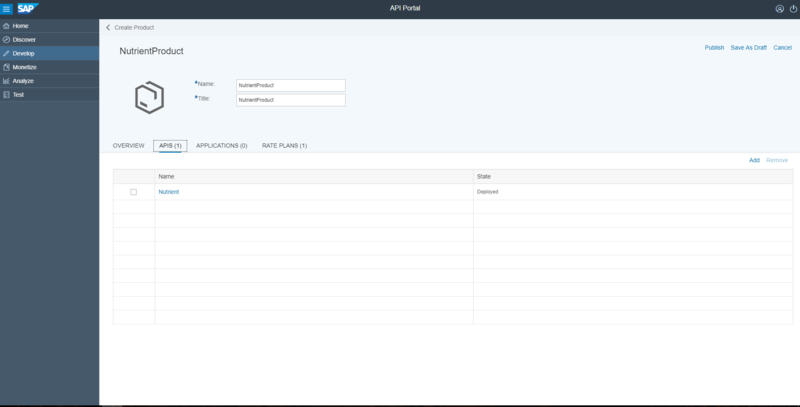 Create any type of rate plan you want for the API.It can be a fixed plan or pay-per-use. Next we create a product to assign this Rate Plan that we created. At this point any authorized calls to the proxy would be metered and the number of calls would show in the Product. 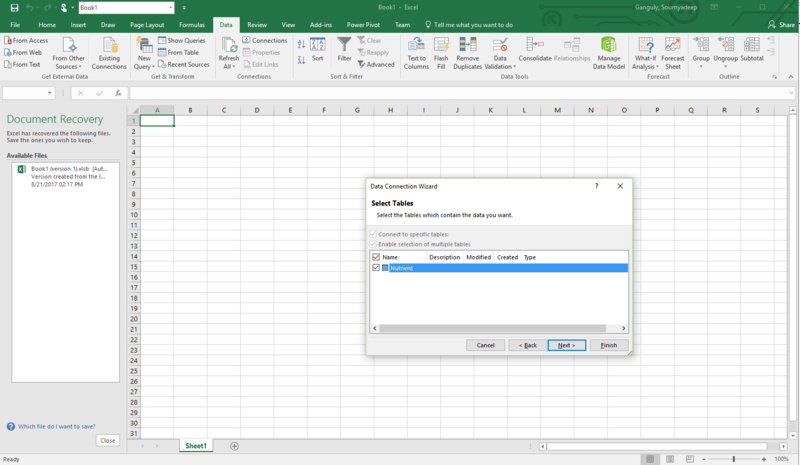 The next step is to consume this API from Excel and generate a bill for the usage. 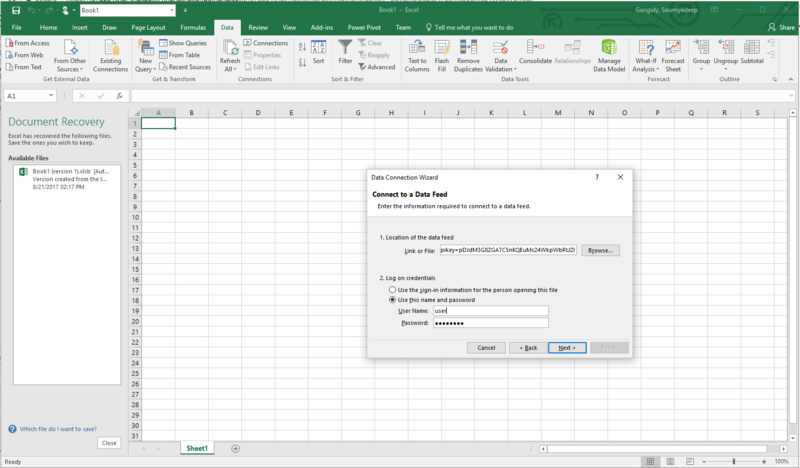 Now lets consume the API-Proxy from excel sheet. Create information from the data. Check the bills generated per application. For the blog I demonstrated from the provision of the data within the HANA DB to the consumption and monetization of the APIs .However the scenario can also be achieved with any other database management systems(MongoDB,Cassandra,etc..) exposing any REST/OData services.